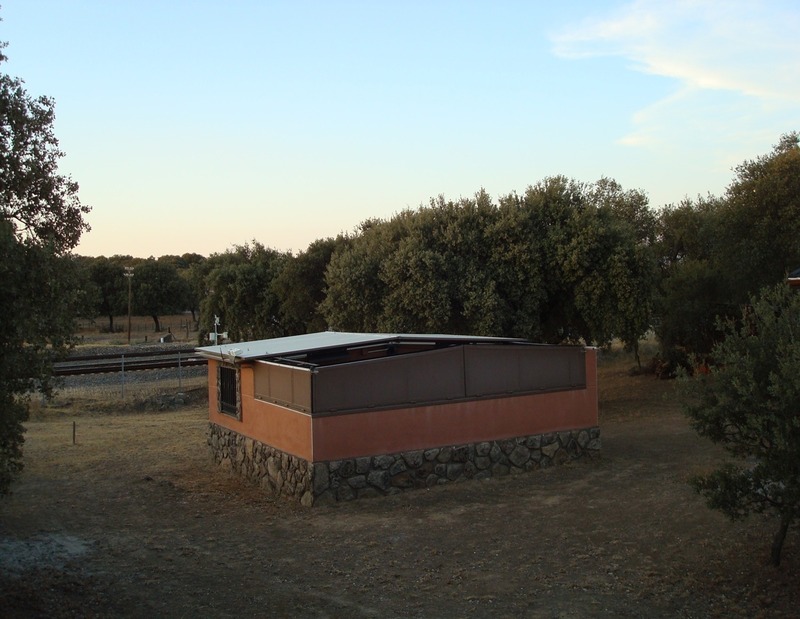 At end of 2008, an observatory constructed and developed by Miguel Angel in Palazuelo (a "dark" site location,near of the "Monfragüe National Park into a STARLIGHT Tourism destination.... was offered to me as a new observational main site for astrophotography. 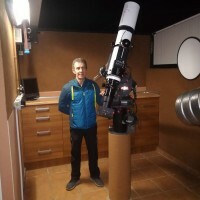 For a "northern" guy like me,(Vargas,Cantabria) fighting along many months with completely overcast skies and rainy days (north of Spain is considered as "Atlantic climate" ) ..astrophotography was a nightmare..
Today...the SPAG-Monfragüe observatory is a reality . 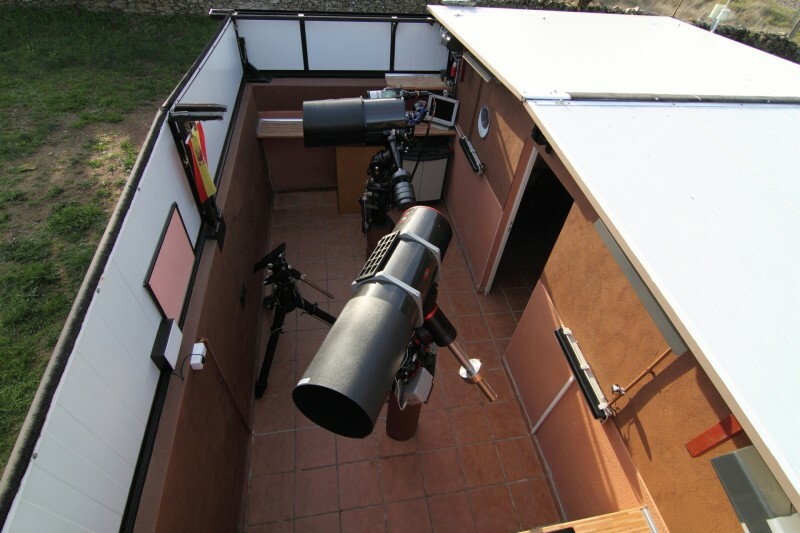 The observatory is opened remotely at 500Km many nights every month, mount and CCD powered ON..and many astrophotography sessions (hopefully) will be made in a near future..
My imaging skill has been improved 100% with this system. I recommend to "click" at Talon6 above link and read full documentation. AAGCloudwatcher as a cloud detector,a very useful tool.ASCOM compatible and working perfectly with automation programms . SQM-LE Unihedron. 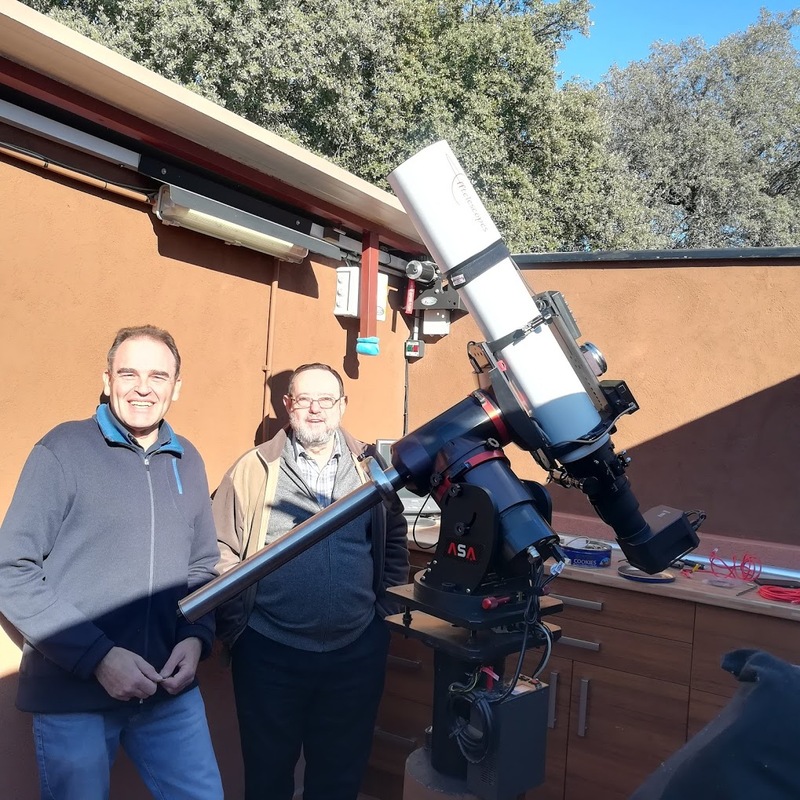 Sky quality meter..A nice tool to measure "sky luminosity".in magnitudes per square/arcseconds or NELM (naked eye limiting magnitude) .A nice approach to choose best imaging nights. 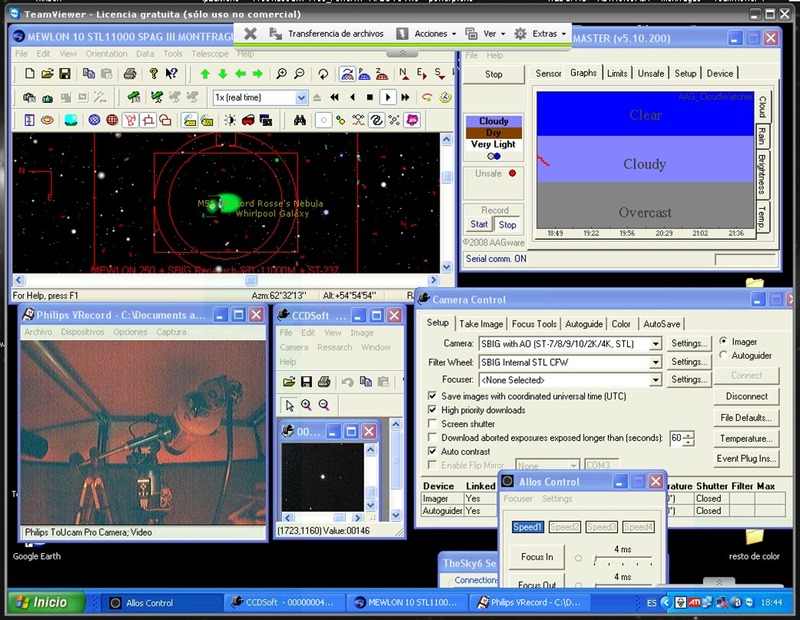 Here you can see some brief VIDEOS taken past February 2009 with some minimal functional aspects of the observatory. The scope used was a Pentax for first remote movement test ( operator sited at 500 kilometers) of mount, roofs,programms,etc..